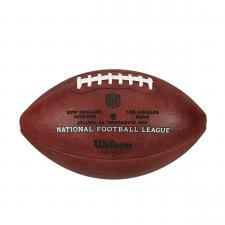 Super Bowl 53 Football - Game Model with Team Names Rams - Patriots | Sports Memorabilia! This is the Official Game Model Super Bowl 53 Football (LIII). 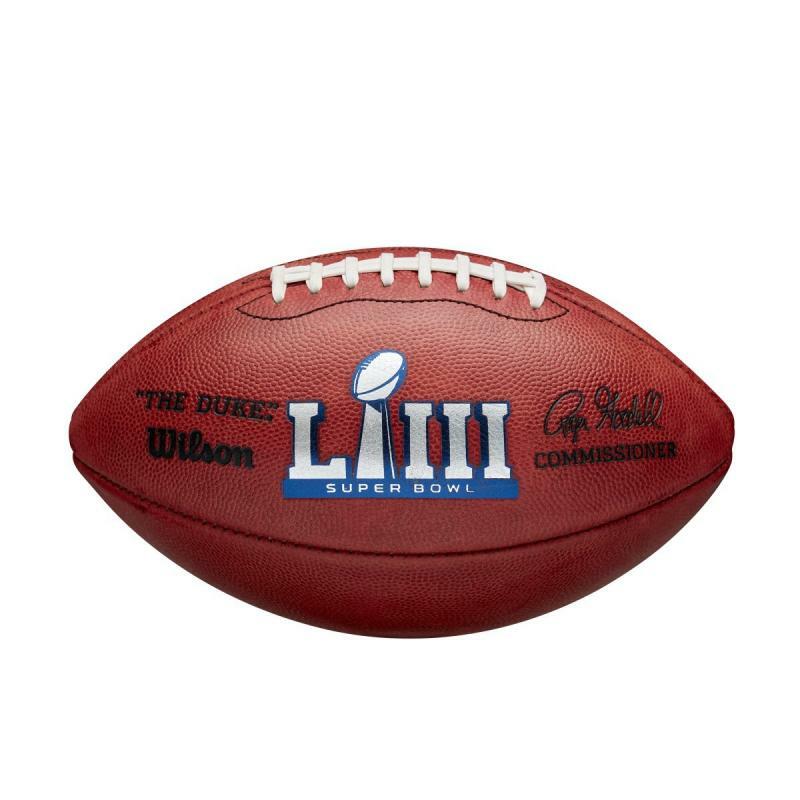 Each Super Bowl 53 Football has both team names, the Los Angeles Rams and the New England Patriots, the date February 3, 2019 , the location Atlanta, Georgia , the Commissioner's stamped signature and the Super Bowl LIII logo. This is the best football collectible to have from this historic game. 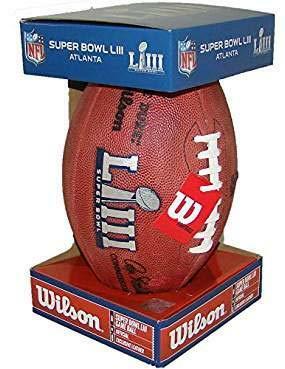 Each Super Bowl LIII Football comes in a limited production commemorative display box.